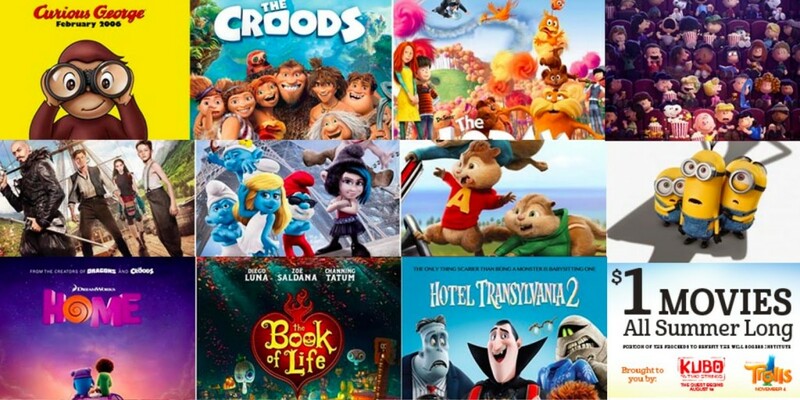 The Regal Summer Express 2016 Movie Lineup! Can you believe that May is almost over. It has been such a busy month for me as school wraps up for me. I’m off for the Summer in 4 days and I couldn’t be happier! It also means that I’m already starting to think about what I’ll be doing this Summer with the kiddos. One of our summer staples is definitely going to the movies. We make sure to take advantage of the Regal Summer Movie Express. Movies play every Tuesday and Wednesday morning during the summer. Tickets are available for purchase at the box office and all movies start at 10:00 am. Each week both movies play on both days. A portion of the proceeds goes to the Will Rogers Institute. Get there early because it does tend to get a little busy and you want to make sure to get a seat! For additional info head here. This entry was posted in fun adventure, Regal Entertainment and tagged #thingstodothissummer, $1 movies, Regal Summer Movie Express. I’m not gonna lie, I missed the whole Voltron rage growing up, so I asked my husband about it. Apparently, it was a really big deal pre-dating the Transformers even! Recently, he parted with a Voltron watch that he had held onto since he was a kid. He got $150 for it on eBay! So yeah, there is a huge audience out there for Voltron! 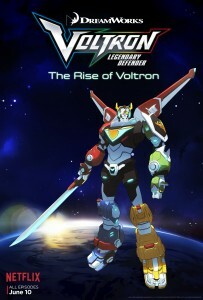 The universe’s greatest protector will rise again in the all-new series DREAMWORKS VOLTRON LEGENDARY DEFENDER, premiering June 10, exclusively on Netflix. Witness the rebirth of the legend with this ambitious reimagining of the fan-favorite science-fiction saga, promising galaxies worth of action, comedy, and adventure, as good battles evil in an intergalactic war ten thousand years in the making. These series will launch with an hour-long origin story called “The Rise of Voltron,” and will be followed by 10 episodes. The storyline is that five unsuspecting teenagers, transported from Earth into the middle of a sprawling intergalactic war, become pilots for five robotic lions in the battle to protect the universe from evil. Only through the true power of teamwork can they unite to form the mighty warrior known as Voltron. This entry was posted in fun adventure and tagged #streamteam. Happy Monday! I’m loving this time year and the longer days. We love going outside and enjoying the beautiful weather. A new tradition for our family now takes place every May at The Temecula Berry Company. We had the best time last year and can’t wait to do it again. Berry season kicks off this Friday, May 6th and continues on until June. Plan your picking because you don’t want to miss it! Temecula Berry Picking is open 7 days a week during the season from 8am to 6pm. It’s a fun outing with the family and will only set you back a few dollars. You pick only what you plan on buying. Last year we only picked half a bucket and I believe we only paid $5. We had a great morning and we spent under $20(we had to buy the local honey, blueberries, and their out of this world blueberry pound cake). It’s a fun family outing that everyone in your family will enjoy. All you need is to bring some water, some sunscreen, a hat(it gets hot! ), and be ready for a good time. If you’re bringing little ones make sure to either head there early or later in the day to avoid the heat. There are plenty of photo opps and the cutest little farm house with piglets and chickens. The kiddos will love it! You can also join them every Friday night, beginning May 27th and every Friday in June for Friday Night Movies. They keep the farm open until 8pm to pick blueberries. All you need to do is bring a chair and enjoy the beautiful farm and a movie for the family. You only pay for what you pick, so think about that when you’re choosing how many buckets to use. Admission is free, all you have to pay for are the berries you pick. Temecula Berry company accepts only cash or checks. I forgot last time and had to drive out to find a local ATM. Don’t forget to bring that cash. It’s a great outing with the kiddos and we can’t wait to do it again. For additional info head here. 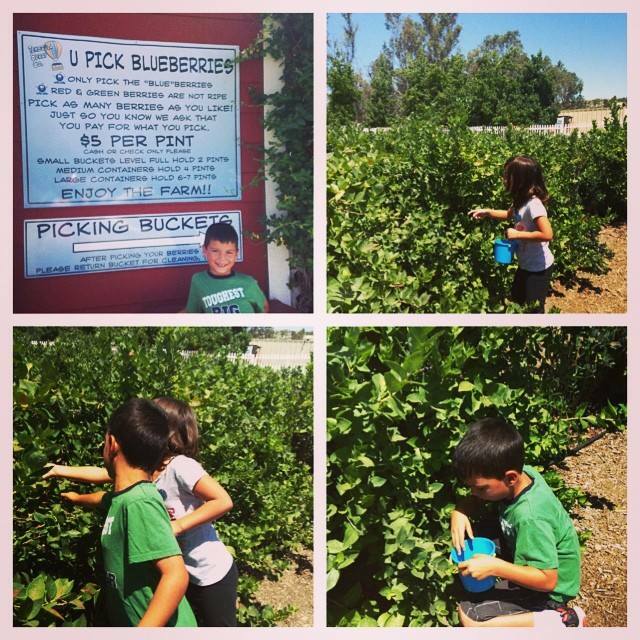 This entry was posted in fun adventure, Temecula and tagged Summer, Temecula, Temecula Berry Company, Things to do in Temecula with kids.